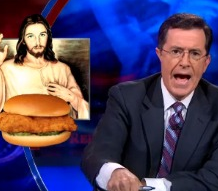 From Mediaite: Stephen Colbert is taking on the Chick-Fil-A cluster-cluck, thanking Mike Huckabee for teaching non-believers what Christianity is all about. 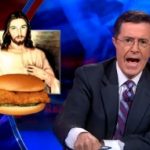 Reports Mediaite, “On Monday night, Comedy Central host Stephen Colbert looked back on the week that was — where chicken and homosexuality were concerned, at any rate… ‘As a practicing Christian in this modern, fallen world, it can be hard to explain why I still go to church,’ said Colbert. ‘That’s why I want to say thank you, Mike Huckabee, for cementing in the minds of nonbelievers just what my religion stands for: Jesus, the only Son of God, gave His life to redeem mankind by suffering torture and death, then rose from the dead in forgiveness of our sins, ascending to heaven and is seated for eternity at the right hand of the Father in fulfillment of the scriptures. …You know. For chicken. 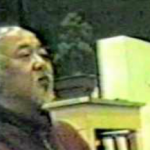 '” Read more and watch the segment here. 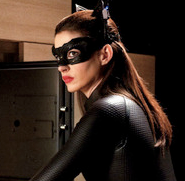 From Gossip Cop: Many are raving about The Dark Knight Rises, and particularly Anne Hathaway in that Catwoman suit. But perhaps there is no higher endorsement than the one she just got from POTUS himself, President Barack Obama. Reports Gossip Cop, “At a star-studded fundraiser at movie mogul Harvey Weinstein’s Connecticut home on Monday, Obama praised Hathaway’s turn as Catwoman to guests such as Aaron Sorkin, Anna Wintour and Jerry Springer. ‘She’s spectacular,’ Obama said. ‘And I did get a chance to see Batman. And she was the best thing in it. That’s just my personal opinion.’ Do you agree with the President’s review of Hathaway’s performance in the film?” Share your opinion and read more here. From Geekosystem: Were you a big fan of The Karate Kid? Do you want more of it? You’re in luck. 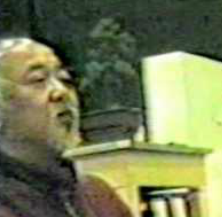 Reports Geekosystem, “So it turns out The Karate Kid director John Avildsen hung onto a lot of old rehearsal footage from the early days of filming the best coming-of-age martial arts film of all time. (Sorry, Surf Ninjas, but it’s true.) Now, courtesy of Avildsen’s YouTube channel, you can get a peek at more than an hour of behind-the-scenes, never meant for primetime Ralph Macchio goodness. The result is a treasure trove of shaky footage that puts most other special features to shame.” Check out the deleted scenes from the film, via a 1983 rehearsal, here. From Styleite: Natalie Portman got hitched this weekend, and Styleite has all the details of the big day. Including, most importantly, who designed the dress. Writes the site, “There was speculation that the 31-year-old actress would don a Christian Dior creation, but we scoffed at such a thought considering she hasn’t worn the brand since she slammed John Galliano for his anti-Semitic remarks last year. We figured Portman would wear one of her favorite brands Rodarte, and as it turns out, we were right. Designers Laura and Kate Mulleavy created a white a-line frock that ended mid-calf, and had long sleeves, per Jewish wedding tradition. She finished her look with a veil, floral crown, and off-white shoes. Around 100 guests, including Ivanka Trump, Jared Kushner, and Macaulay Culkin attended the ceremony.” Read more about the decor, dessert, and guest departure of the wedding here. From SportsGrid: Disappointing ladies and Olympic fans everywhere, it seems as if Michael Phelps, hunk and recent record-setter for most Olympic medals, is off the market. Reports Sportsgrid, “The only thing about Michael Phelps that may be as profound as his fish-like abilities in water is his horndoggery. The 27-year-old American swimmer, who just finished competing in London, was already spotted partying it up in the clubs, and, to be frank, his ability to attract women is well documented. So we were prepared to see a laundry list of Phelps’ London sexcapades – but apparently, the 18-time gold medalist is a one-woman man. Phelps has reportedly been dating model Megan Rossee for about five months, and the two have finally gone public.” Read more about their relationship and see photos here. 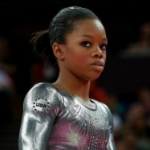 From The Mary Sue: People can’t stop talking about the Olympics, specifically the USA Women’s Gymnastics team and its star, all-around gold medal winner Gabby Douglas. 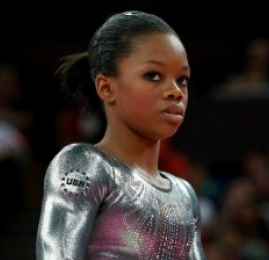 Today, The Mary Sue shows why they love her so much: “Last week we posted about our rage over the utterly ridiculous (and unfounded) complaints circulating the web over Olympic gymnast Gabby Douglas’ hair… Lucky for every sane person out there following this story, Gabby Douglas is a class act, and one with a pretty good head on her shoulders considering how young she is. Her main reaction to all this hoopla over something as irrelevant and silly seems to involve a lot of confusion and derision. She likes how she looks perfectly fine, thank you very much, as well she should. There’s also the fact that the state of her hair is completely irrelevant to the utterly astonishing things she just did.” Read what she had to say here. F rom The Jane Dough: Huge news for womankind and the world of sports! 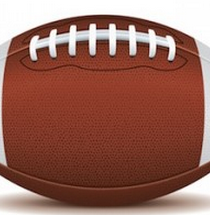 Reports The Jane Dough, “Three huge cheers this morning: A woman will officiate an NFL game for the first time. Sure, it’s a pre-season game — Packers versus Chargers, this Thursday night — but still... Shannon Eastin, previously a referee in the Mid-Eastern Athletic Conference, according to ESPN, will serve as a replacement ref amid contract conflicts between the NFL and the regular officiating squad. As some have pointed out, the nature of Eastin’s appointment leaves her wide open to criticism; all the ‘good’ refs, critics say, are locked up in other contracts or are currently fighting with the NFL… For our part, until Thursday at least, we’ll refrain from judgment and celebrate the landmark. 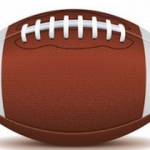 A woman will officiate an NFL game.” Read more about her here. 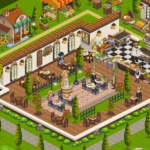 From The Braiser: Thought the days of FarmVille on Facebook were over? Think again. Reports The Braiser, “Everyone loves restaurants these days. They’re a (sometimes) affordable, fun way to socialize with your friends in a beautiful setting, where you can spend your hard-earned dollars on fantastic drinks, stellar service, and the experience of eating the freshest-sourced foods prepared by talented chefs. Which is why Zynga thinks that you should do all of that online instead of in the real world.Yes, that’s correct. The crippled social media giant wants you and your friends to spend all your money on fake food in a fake restaurant you run yourself in its newest social game, ChefVille. 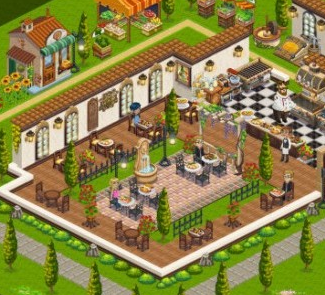 The goal of the game is much like FarmVille, its evil older sister, in that players spend real money on fake things design and run restaurants.” Read more about the next addicting Facebook game here.